Watch: Basketball star Jeremy Lin raps in Chinese to celebrate upcoming Mother's Day: Straight outta the Lin family kitchen! 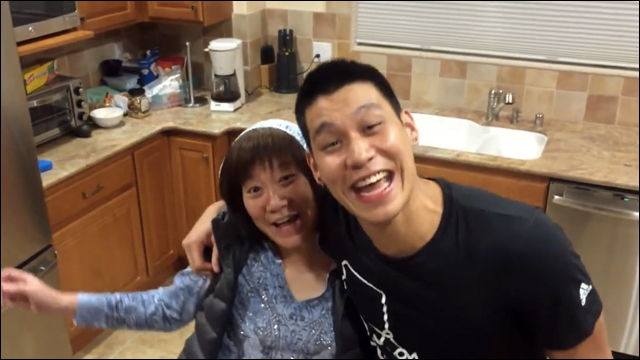 Jeremy Lin celebrated Mother's Day with a short video of himself rapping in Mandarin. 'I'm Old Enough To Do What I Like,' 87-Year-Old Tells Family: Kay Wang sat down with her son and granddaughter-- and sassed them! -- for StoryCorps, weeks before she passed away from liver cancer. It Takes Guts, and Organ Meats, to Raise a New Mom: "First came the liver, then the kidneys, then pigs feet -- lots and lots of pigs feet." Writer Sharline Chiang, a self-proclaimed foodie, takes on traditional Chinese postpartum food. The Price of Nice Nails: Manicurists are routinely underpaid and exploited, and endure racism, discrimination, and other abuse, according to this series by The New York Times. Perfect Nails, Poisoned Workers: Some ingredients used in nail products have been tied to cancer, miscarriages, lung diseases and other ailments. The industry has long fought regulations. Unprotected by Assimilation: Lessons from the Case of Duy Ngo: As some Asian American communities have been divided over the case of NYPD officer Peter Liang, Bao Phil reminds us of Duy Ngo, a Vietnamese American undercover cop who was mistaken for an Asian gang member and was refused help after being shot several times on the job. When Blacks and Asians Clash: Media stories about clashes between Asians and Blacks during the ongoing uprising in Baltimore, Maryland have been getting a lot of attention over the last week or so -- a tension overemphasized for higher ratings. When Asian Emasculation Meets Misogyny: On Eddie Huang's Black Feminist Problem: "I understand the pain and frustration that stems from America's racist emasculation of Asian men. But if, as in Huang's practice, reclaiming Asian American masculinity means claiming all the ills of white American manhood -- its patriarchy, entitlement, heterosexism, and racism -- I want nothing to do with it." There Can Be No Room in this Movement for Misogyny: "You have lots of important things to say, Eddie, and I earnestly want to hear them -- but misogyny simply cannot be one of them." A forgotten history: tracing the ties between B.C. 's First Nations and Chinese workers: First Nations people and Chinese immigrants have enjoyed a symbiotic relationship since before B.C. joined Canada's Confederation. Now, archeologists are chronicling this chapter of history by documenting sites where the two communities lived together. What Is A 'Good Muslim' Anyway? 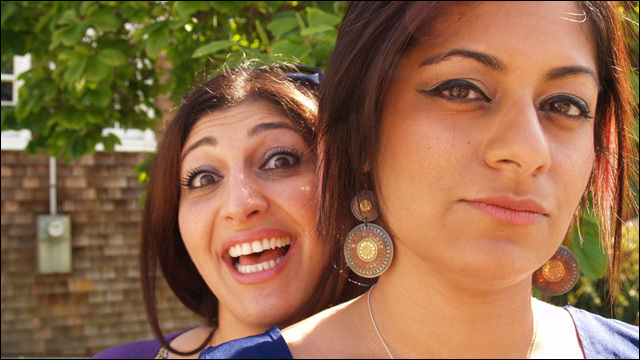 A Podcast Disrupts The Narrative: NPR's Code Switch talks to Zahra Noorbakhsh and Taz Ahmed, who host the podcast #GoodMuslimBadMuslim. Reform of the Nerds, Starring Arthur Chu: How Arthur Chu, a game-show champion, became the embattled conscience of American male geekdom. Accused of Spying for China, Until She Wasn't: Sherry Chen, a hydrologist for the federal government in Ohio, was arrested last October and accused of economic espionage. Then, the ordeal abruptly ended. Questlove Talks to the Chefs Behind the Revolutionary Fast-food Concept Loco'l: Chefs Roy Choi and Daniel Patterson teamed up to start up Loco'l, a fast food concept made from fresh ingredients at a low price. The first restaurant is opening in Los Angeles' Watts neighborhood late this summer. A new Little Saigon emerges as food, cultural scene evolves: Forty years after the end of the Vietnam War, the pocket of northwest Orange County known as Little Saigon is changing. Children of immigrants have opened their own businesses, some distinctly American, but still Vietnamese. Michelle Wie: The GOLF Magazine Interview: The latest issue of Golf Magazine features a cover story with Michelle Wie, golf prodigy and winner of the 2014 U.S. Women's Open. 32 Essential Asian-American Writers You Need To Be Reading: In celebration of Asian Pacific American Heritage Month, this Buzzfeed list recommends 32 Asian American with works worth checking out. "Hawaii Five-0? Actor Brian Yang on His Work Behind the Scenes Producing Asian American Stories: You may know him as Charlie Fong in Hawaii Five-0, but actor Brian Yang is also a producer, working to bring Asian American stories to TV and movies. Meet The Father-Son Team Making $1.3 Million On YouTube: A 9-year-old and his dad have turned their love of toys into EvanTubeHD, a seven-figure YouTube business.